Today I have another turn at making a card with some of the wonderful stamps at Rubbernecker. 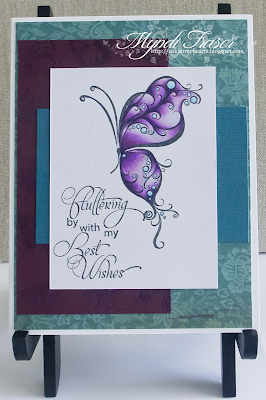 This time I'm using the two stamp set watercolour Butterfly 2 and the Fluttering By sentiment. I used Ken Oliver Color Burst Brights, mixing the red and the purple, with a little more red than purple. My DP is DCWV Latte stack, and I used By DIEzyne stitched oval dies. The butterflies are from a Martha Stewart punch. 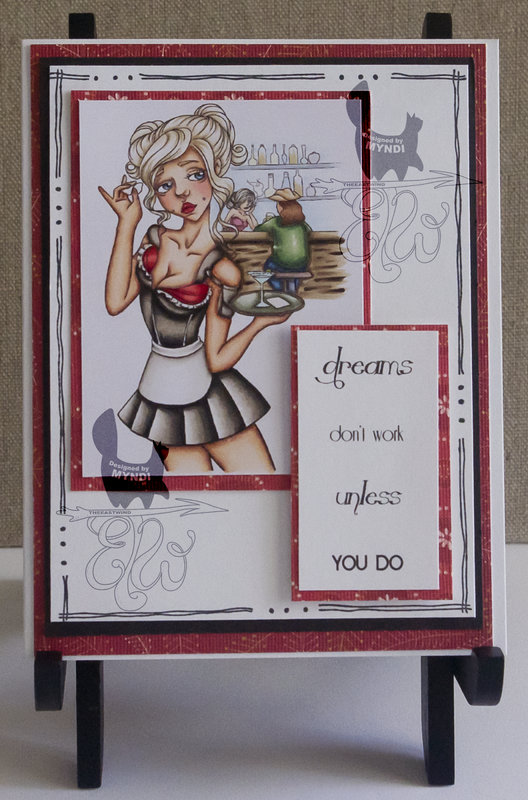 Using the watercolour stamps can be a little bit of a trick until you do them a few times. This one came out a little messy, but overall I was happy with it. I don't think it's meant to be perfect, with clean lines and all. That being said, I did a second version using my Copics, the butterfly outline stamp from the Butterfly 2 set, and another Rubbernecker stamp called Butterfly Inchies. I used Copics in V09, V06, V04, RV63, and V01, and BG01 and BG000. You can't see it in the photo above, but I clear embossed the burgundy paper with the Butterfly Inchies stamp. A better view is below from an angle. So the stamp is pretty versatile as far as using the watercolor portion or colouring it in yourself with whatever medium you prefer. My next plan with the Butterfly Inchies stamp is to stamp it and colour each little butterfly in with my Copics. Check out the Rubbernecker Blog to see what else the team is up to. The team has a new creation for you almost every day this week! I recently was asked to join a newly formed Design Team for Rubbernecker Stamps. My friend Cristena is leading the group so that was a bonus, then I took a look at their store and that was ANOTHER bonus! Holy smokes! They have some super awesome stamps in there!! 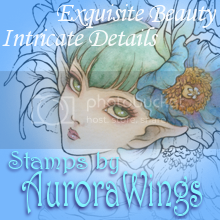 Sentiments, watercolor stamps, backgrounds, images, you name it and they have it! Check out the blog launch HERE, and all the creations from the rest of the DT. 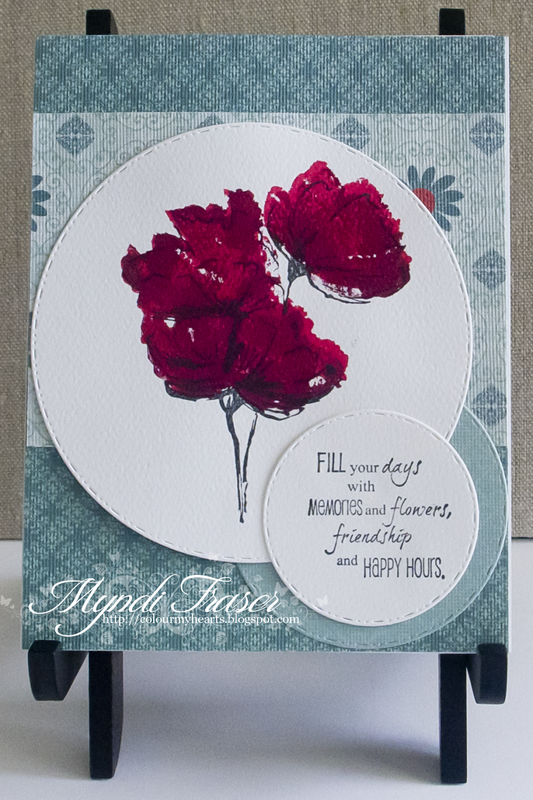 For my debut card, I'm using Blooming Poppies watercolor stamp and the Freehand Border Phrase Set. The poppies are a two stamp set, consisting of the stems and the petals. I used black Memento Ink for the stems, and Ken Oliver Color Burst Brights in Alazarin Crimson and Violet for the petals. I mixed the two together to create a deep burgundy. My DP is from DCWV Green Stack. I thought the red of the poppies really complimented the smoky blue of the paper. I used By DIEzyne stitched circle dies to cut out the poppies, sentiment, and an accent circle, which I placed behind the sentiment. New Facebook Contest Starts Today! A new Facebook contest goes live today in The East Wind's Facebook group. The theme this month is "Hot Colours", so you have to use colours from the warm side of the colour wheel. I used the image "Bookaholic". It is one of my most favourite images because of all that hair!! Hair can be tricky, but it can also be fun. I love to play with hair colours, and I thought a big mess of hot red hair would be perfect for the theme. I printed the image out at about 5", so that's pretty big for me. I usually print it out at 3.5 or so, but I wanted space for the hair. The DP is from a DCWV Citrus mat stack. The solid colour paper is from Cricut. Make sure you pop by the Facebook group! First prize is three free images of your choice, the runner up gets a 25% off coupon to the Etsy store. 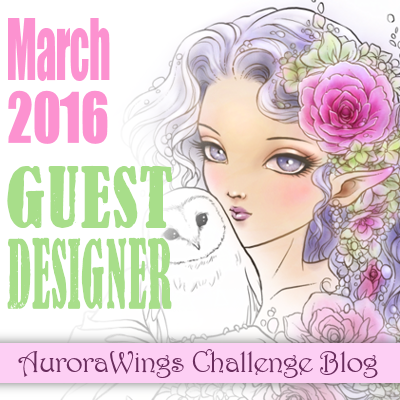 There are also twice monthly challenges on the BLOG, so check that out too. And make sure you're signed up for the newsletter!! The free image for August that goes out in the newsletter is AMAZING!!!!! It's new release day at The East Wind!! Today's image is titled "Barmaid". I feel like she has a story going on, and Unky is so great at drawing images that make you wonder what they're thinking or going through. This image makes me think she's tired and about had it with work, but she's got a goal in mind that's pushing her through her day. Thus the sentiment, "Dreams don't work unless you do." I coloured the image with Copics. I used paper scraps from my stash, and the border stamp is from Rubbernecker Stamps. Easy peasy! Make sure you stop by the Facebook TEW group in a couple days for the new challenge posting. The challenge runs from July 21 to August 17, and it's going to be HOT!! 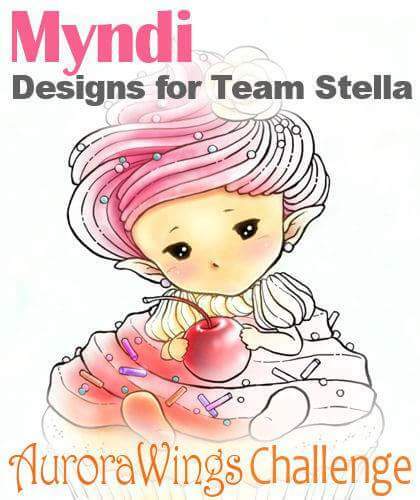 (just a little hint about the theme there *wink*) There are also twice monthly challenges on the BLOG. Please drop in and join us for some colouring fun and the opportunity to win some free images! 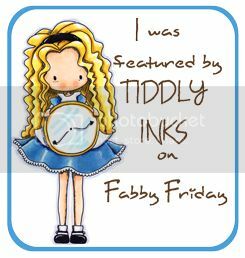 It's time for another DT call at Tiddly Inks! 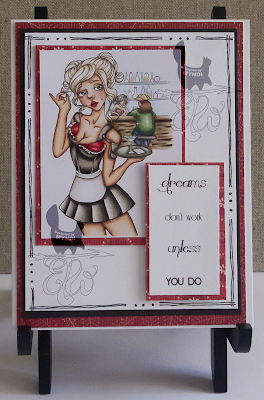 I'm putting my hat in the ring again with a card featuring one of Christy's new girls, Molly. I used "Molly Shares", and went with a purple colour scheme and a shabby chic design. I coloured the image with Copics, using the B60, B63, B66, and B69 for her dress. Her hair is E30, E33, E35, E37. 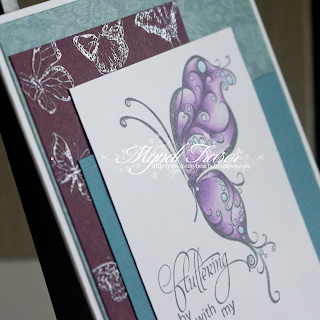 The paper is Butterflies & Hummingbirds from Michele R Designs. My flowers are from Wild Orchid Crafts. The other embellies are from Live & Love Crafts. 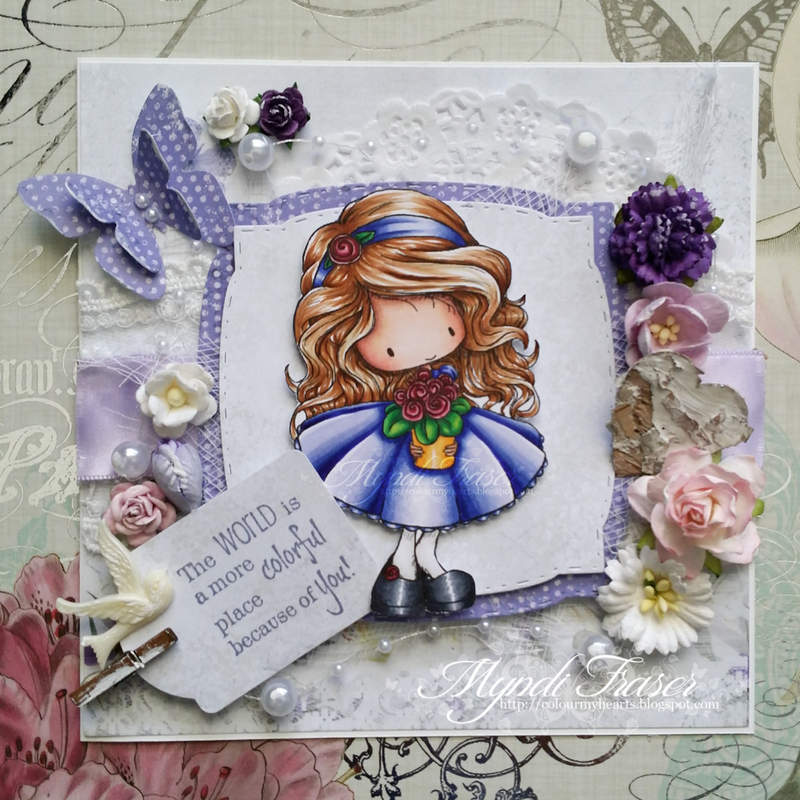 The sentiment stamp is from the Freehand Border Phrase set at Rubbernecker Stamps. The DT call closes on July 15, so if you love TI like I do, you should pop by and submit one of your Tiddly makes for consideration. There are also challenges every other Tuesday (Tiddly Tuesdays!! ), in case a DT role isn't what you're looking for, so there is always an opportunity to play with a Tiddly Ink at the challenge blog HERE. I hope you like my little card. It's on it's way to a special girl for her birthday, so hopefully she likes it too! 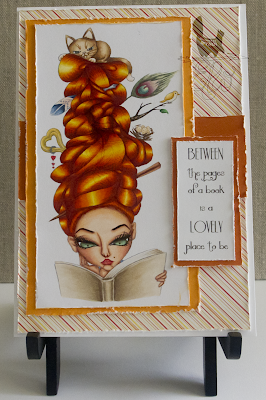 I am also entering this into the Tiddly Inks Make It Pop challenge on the challenge blog.